I was doing my best to get it looking like a 1960's era slot car. What you stated earlier about properly driving your Porsche is right on, these were not meant to be babied, every car pictured have seen track time, the 944 of course sees the most. Nice! Would you describe the C2 driving characteristics and experience? 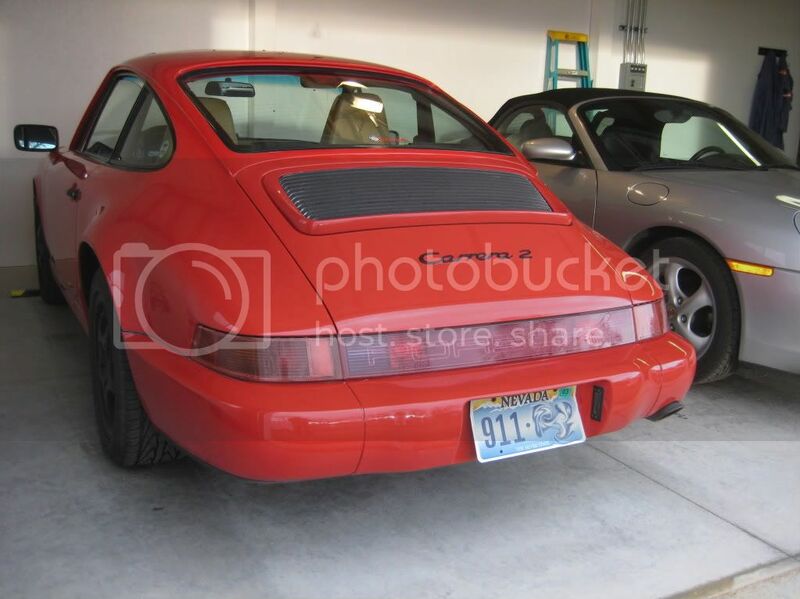 The 964, 911 C2 is very planted in corners in comparison to the earlier 911's. there is still a good bit of 'lift off oversteer' compared to other cars, but not having the torsion bar suspension helps. Of course you already know that the flat 6 makes most of its usable power over 5000 rpm, as a result this car is not fast off the line, but very quick from 70 mph to 100 mph. IMHO, the 3.6 L was the best of the air cooled engines, but your 3.2 L ( I assume) is bulletproof too. Next year this car will be getting a new suspension, I'm looking at either the Bilstiens with H&R springs, or a whole set of coil overs. Not that this car has a bad suspension, but it is over 20 years old. In general I love driving this car, it's been tracked a number of times, but not since I picked up the 944. 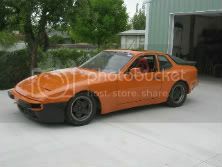 That is a Spec racer though, and a dedicated track car. I might be tempted to enter the 911 in an AX or two though! Love the 964! Probably the best all-around 911. What model year? Yours came with ABS? Yes, the 3.2l engine is pretty much unbreakable as long as it gets warmed up, lit up, tuned up and proper oil grade. Daily drivers show 300k miles between rebuilds. Ours is a 1991. While I really like our 964, I certainly wouldn't mind a 993! Almost the same car as the 964, but with the laid down head lights. I do however like the classic look of the upright head lights too. BTW, did you notice the license plate? That is completely coincidental. 4-Wide drag racing in Charlotte last Sunday. O.... M..... G..... turn your sound all the way up. almost time to pull the roadster out of the garage. no mud season to speak of this year. Any AC Cobra owners here? Kit or original. That is my dream ride. Either a Factory Five or Superformance. Either are my 5-10years from now car. That is many a person's dream car. Never been in one, have you? I know someone who dad has an original Shelby Cobra. He bought it in the early 70's as a wreck and had pieces of buried in his yard! He was affraid someone would steal the car before he could restore it. I saw him once washing off piece from the car and asked if that is from a Cobra. I thought he was going to skin me alive. I saw one at Cars & Coffee in Cary, NC, two weeks ago - Waverly Place Shopping Center first Saturday of the month, 8:00am to 10:30am. Owner said it was an original 427 - I did not ask to record the serial number; he seemed honest. It was a gem from every angle. pm if you want all the pictures. I had a serious rumble factor. Old neighbor had a Factory Five. Badass car. If you have the itch my advice is, "Don't wait 'til you're 60 to scratch it." Have reached a point when I can say amen to that... Boring dealer photo. I've been too busy driving it to take any pictures. Here's my purchase from earlier this year. 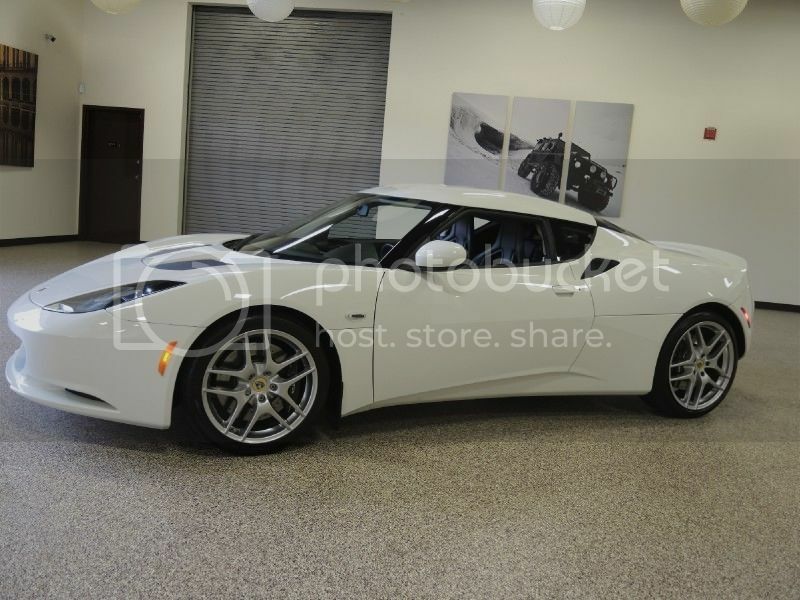 Not sure if I had ever posted my car, but here's my toy... Lotus Evora. It's a manual and mostly an every day driver for most of the year. This car has very precise handling traits and is really connected to both the road and driver. No cup holders here! 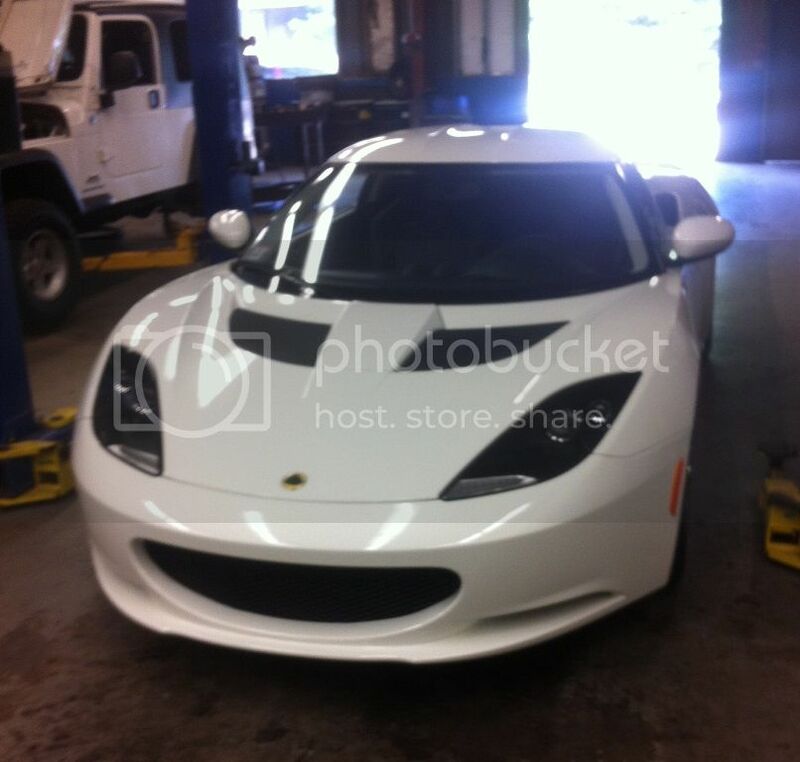 To Lotus fans, nothing handles like a Lotus. As much as I get new-car-idus as much as the next motorhead, I can't think of another sports car under 100K I'd rather have. Plus, this one is all sorted out now. I am think today is going to be the end of the season. Plan on washing it later and connecting the CTEK. That is awesome. 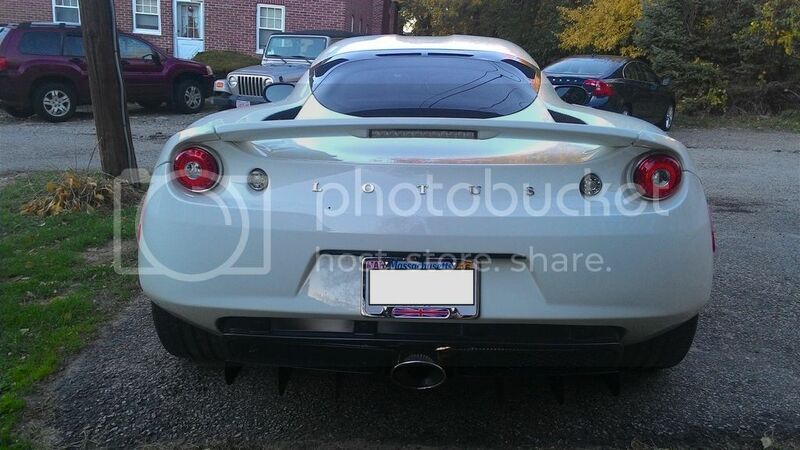 What are the details on this Z, very cool looking. It's a '76 280Z. Previous owner did a lot of work on it, and kept it in really good shape. There's no rust (fingers crossed it stays that way). Looks like it was undercoated at some point. All rubber body mounts replaced with urethane bushings. New springs/shocks put on to lower the car about 1-1.5". Paint is not original, but in pretty good shape. I plan to get a respray in a couple years. Engine is all stock and still runs strong for 40 years and 113k miles. It is an automatic trans, 3 speed. While I'd prefer a manual, the auto isn't all that bad. I have a 4 speed trans in the garage I may swap in at some point. My first car was a 78 280. I had said at some point I'd get another one. So glad I did. It's a visceral feeling driving it.